Listen: Spooky Mansion - "Gone Too Far"
Spooky Mansion are a quartet living the dream in San Francisco. They rehearse nights at an abandoned surf shop and record during the day in their garage. 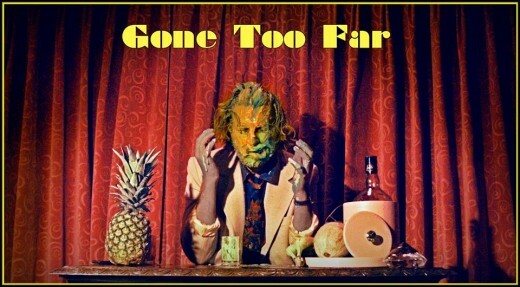 “Gone Too Far” begins with an easy-flowing surf rock guitar riff, before giving way to vocals strikingly similar to the approach/tone of Deerhunter’s Bradford Cox: raspy, sweeping, and invitingly fuzzy. Acute vocal tensions lead to forceful percussion that accompanies sweet psychedelic guitar melodies and delicately layered, soothing backing vocals. With a final burst of vocals and a smooth gliding guitar riff, the track abruptly ends, finalizing a very impressive effort. In the group’s own words, the track is “a dark and creepy exploration of what strange corners a person will visit when they’re alone in an expensive hotel room with two sexually ambiguous partners and infinity-rum.” Off their first EP, released about a month ago, it’s an excitingly solid showing from a group with plenty of potential.